Far-too-often custody settlements that began as fairly non-adversarial become combative and drawn out court battles, further antagonizing the separating couple and putting more stress on them and the children. A relatively new dispute resolution process that many divorcing couples utilize is collaborative law. Under collaborative law, the couple, their lawyers, and sometimes other professionals, such as counselors and financial advisors, work together to solve pressing custody issues with the binding agreement that the case cannot be taken to court. Collaborative law has allowed many divorcing spouses to reach custody agreements without straining their relationship any further or creating unnecessary rifts with the children. 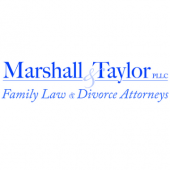 At the Marshall & Taylor Law Firm, P.C., our Raleigh collaborative law attorneys are trained in conducting dispute resolution conferences using collaborative law methods. Contact us at 919-833-1040 to discuss how we can help you in this matter. The benefits that collaborative law brings can greatly ease the burden of divorce that you may be feeling. Once you have made the choice to pursue a collaborative dispute resolution approach, you will need an experienced and competent lawyer supporting you. The Raleigh collaborative law attorneys of the Marshall & Taylor Law Firm, P.C., endeavor to make sure your wishes are met and your interests protected when you enlist our services. Contact us by calling 919-833-1040 to learn more.